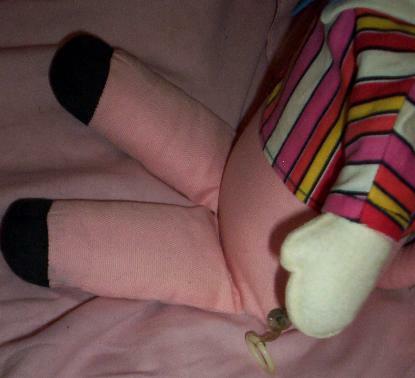 " I love The Beetles, Real Beatles. 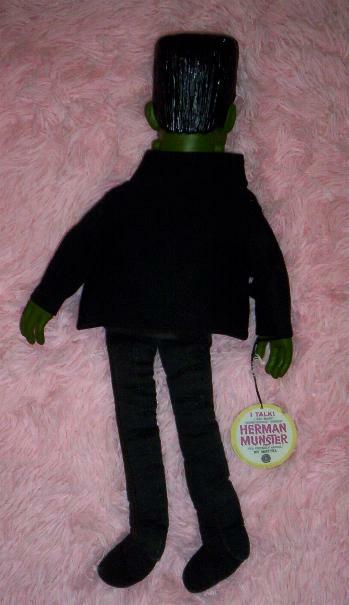 and His Coat Has It's Original Tag Too. 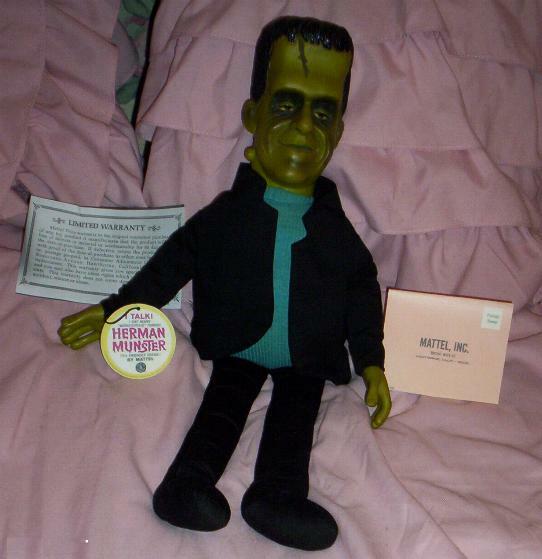 Also He has Repro Hand Tag, Warranty and Regisration Card and Repro Herman Munster Box. 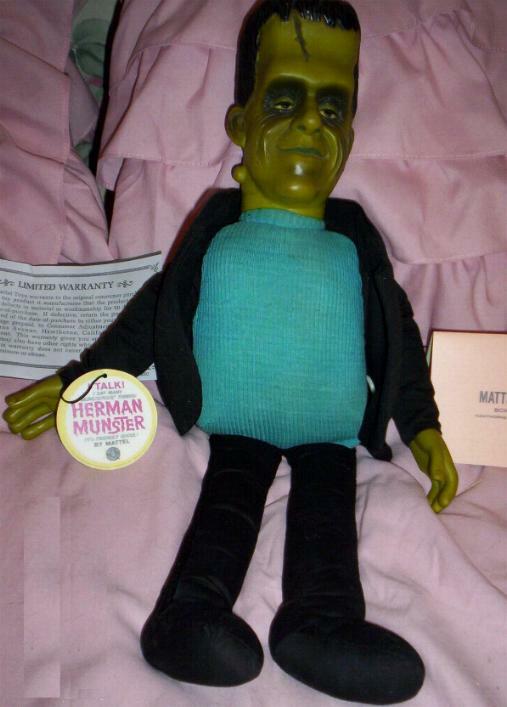 Herman Munster was Portrait by FRED GWYNNE From "The Munsters" TV Show Back in The 1960's. 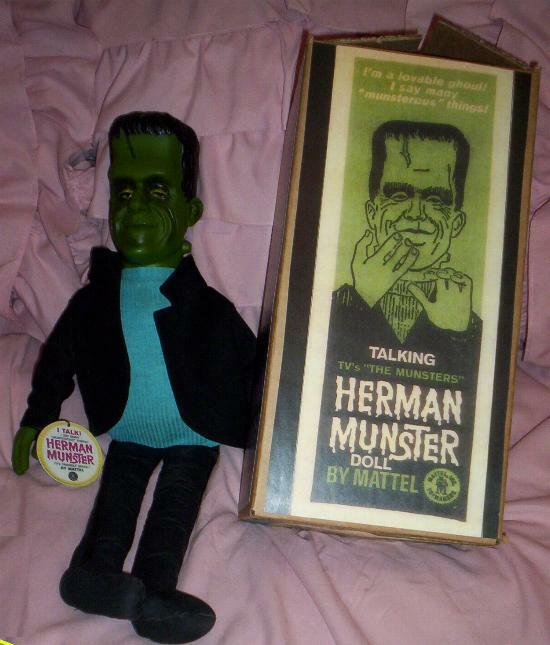 His Voice Box is of FRED GWYNNE's Actual Voice. 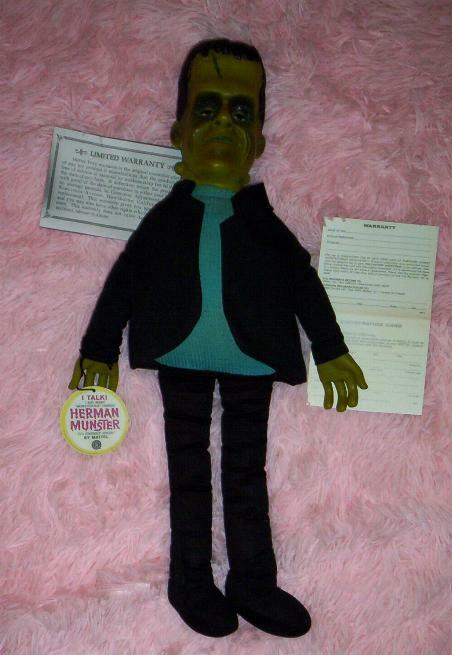 "They Say I Look Like Someone In Pictures"
"A Tiska A Taska, I Lost My Little Casket"
"You're So Cute, I'm Green With Envy"
"You Look Like The Goul Of My Dreams"
Welcome to My Herman Munster Page. 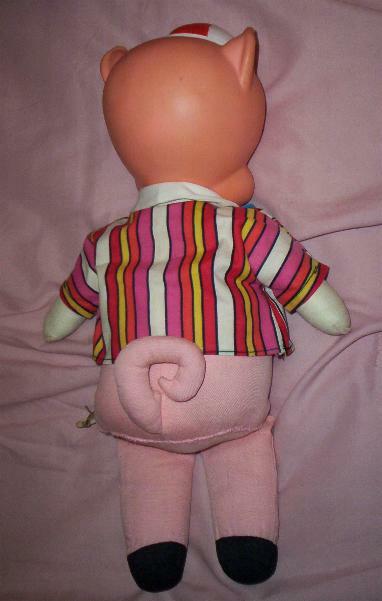 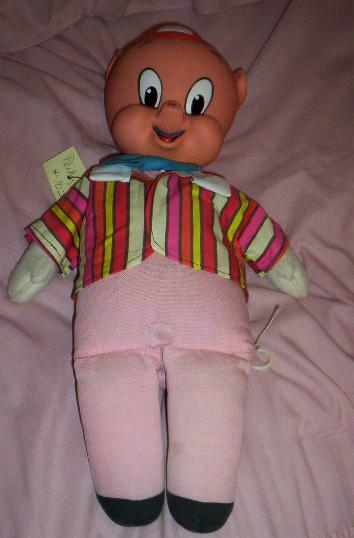 I have been Restoring Mattel Pull-String Dolls From the 1960's for Over 15 Years. 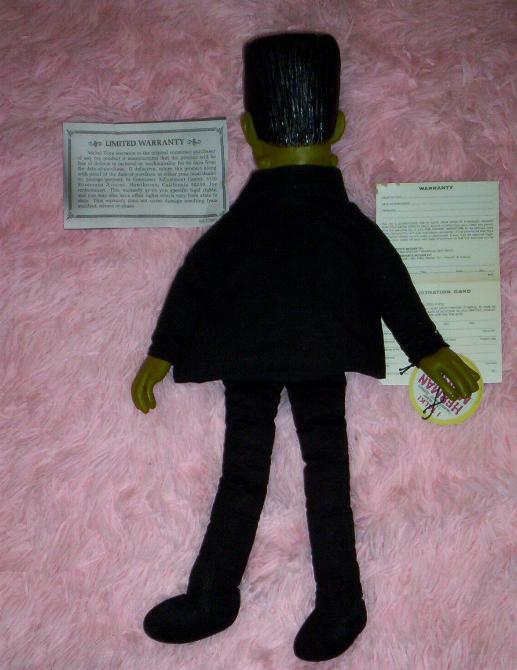 Please Visit My Other Links On the Left To See all Of My Dolls That are For Sale on My Website. 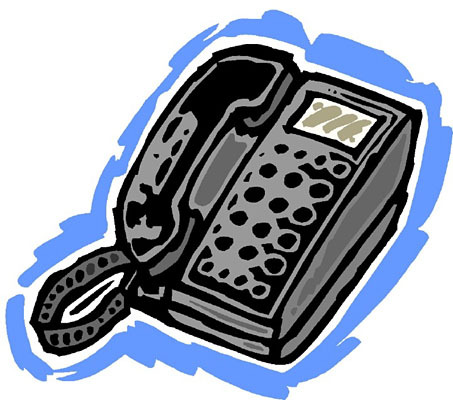 For People Who Still Have Them and Want Them Restored.
" 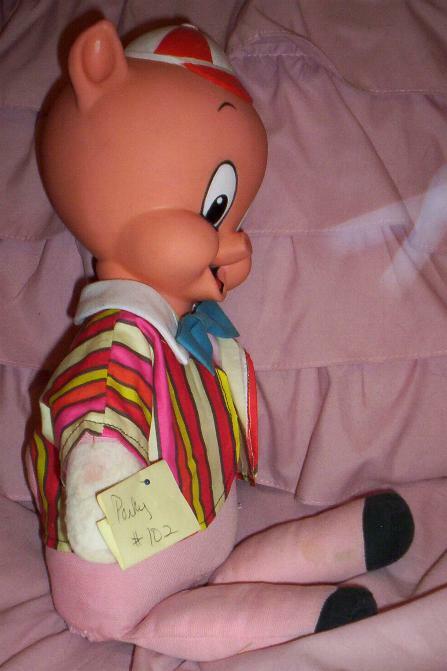 I love The Beatles, Real Beetles. 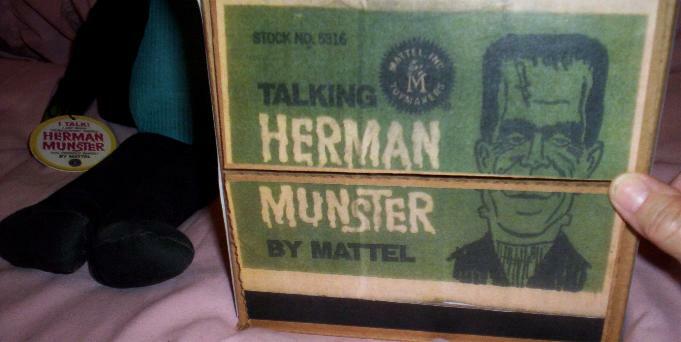 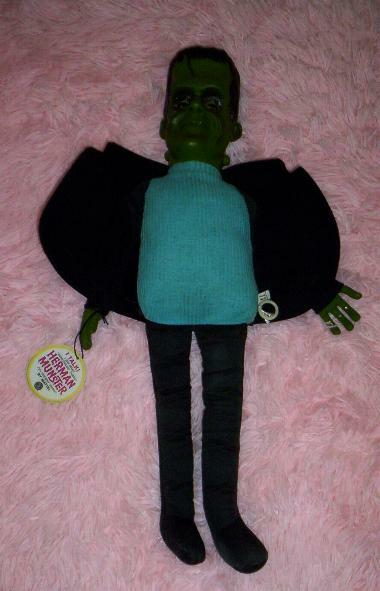 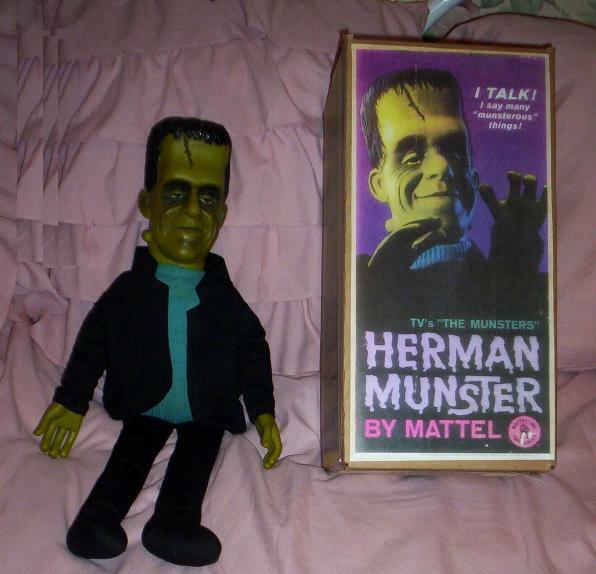 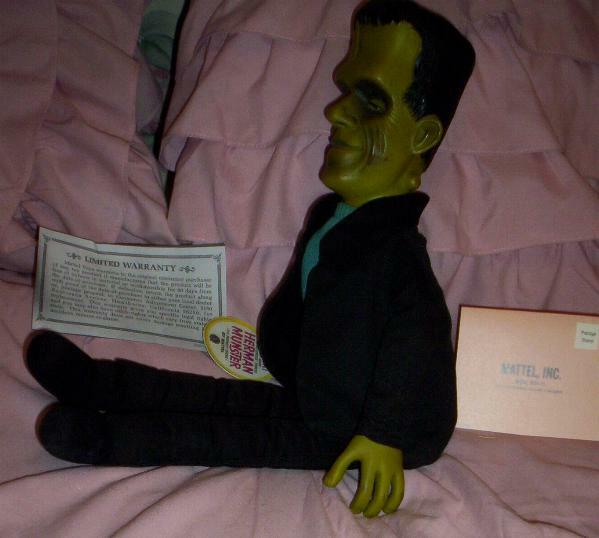 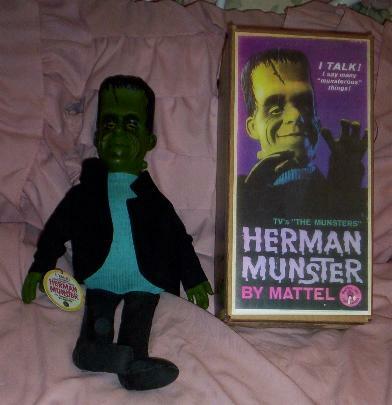 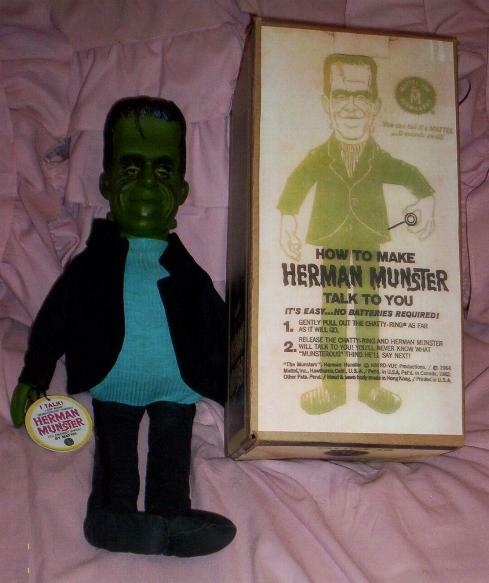 and His Coat Has It's Original Tag too, Also Comes with a Very Nice Repro Herman Munster Box and Round hand Tag. 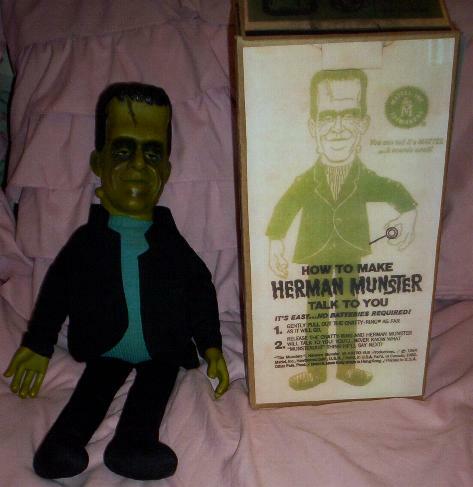 "I Love Your Hands, So Cold And Clamy"
He is Almost Perfect but I Do want to Mention, Herman Has a Light Stain where His Blue Shirt Was Not Covered by His Coat...Very Hard to Notice. 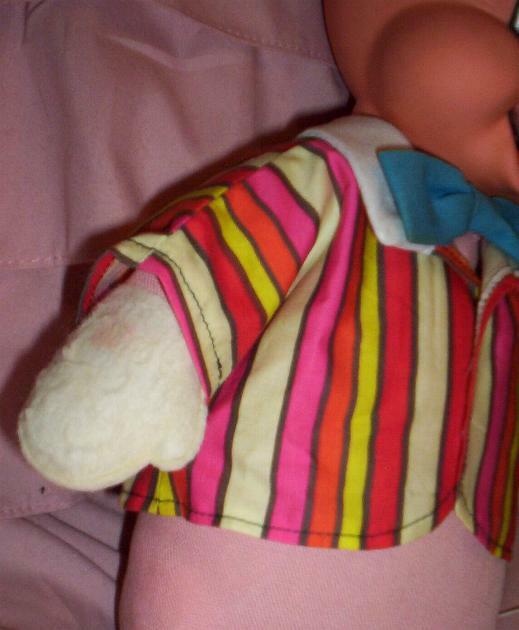 Also A Very Tiny White Dot at his Neck. 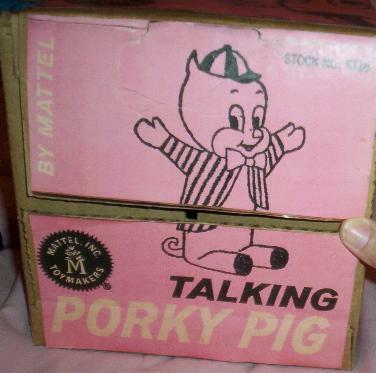 "I Do Not Sell Voice Boxes". 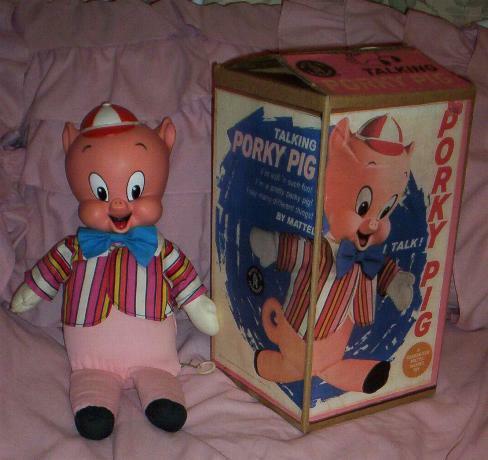 Porky Has be Cleaned Inside and Out. 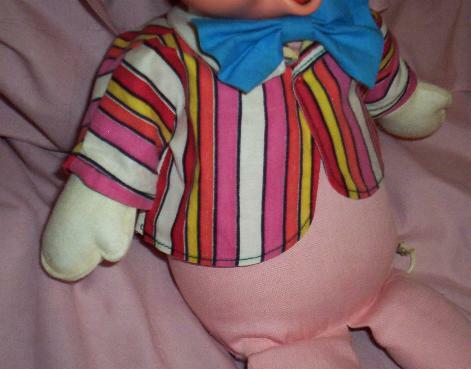 He Still Wears his Original Body Tag, Red/Yellow Striped Coat and Blue Bow-Tie. 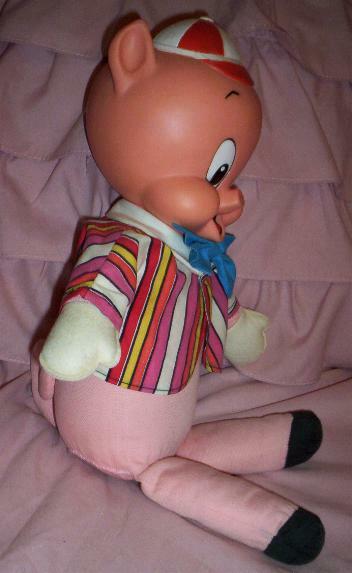 His Red/White Cap is Made with his Rubber Head. 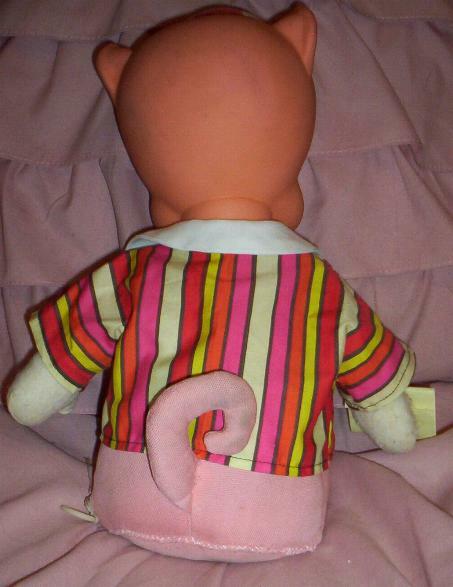 He has a Curly Tail and Black Feet. 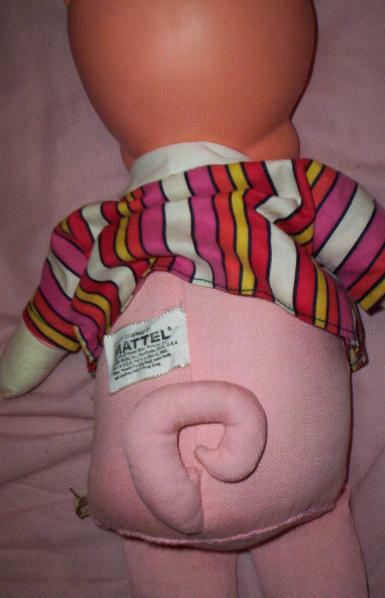 His Body is Maded with Stuffed Pink Cloth. 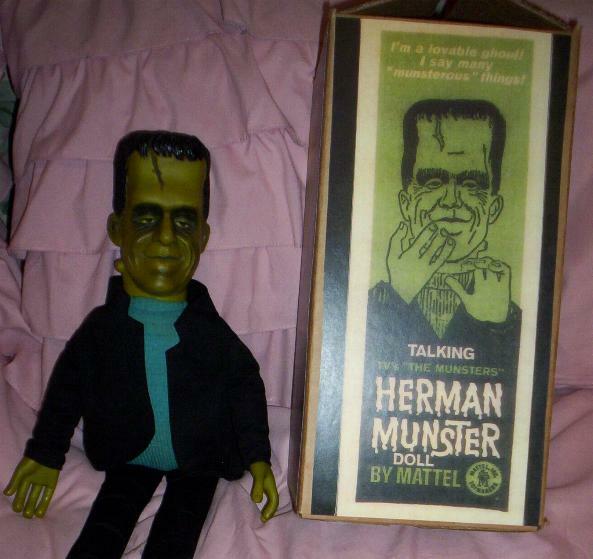 He Comes with a Great Reproduction Box That is Exactly Like the Original. 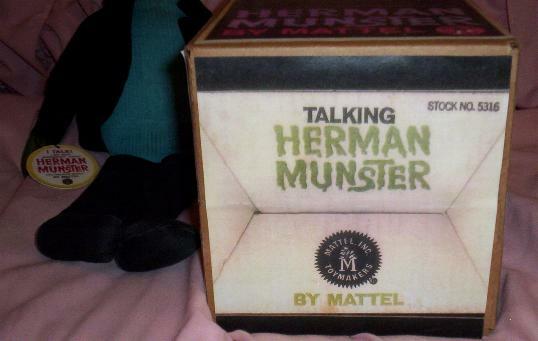 It's Strong and Sturdy with Beautiful Graphics. 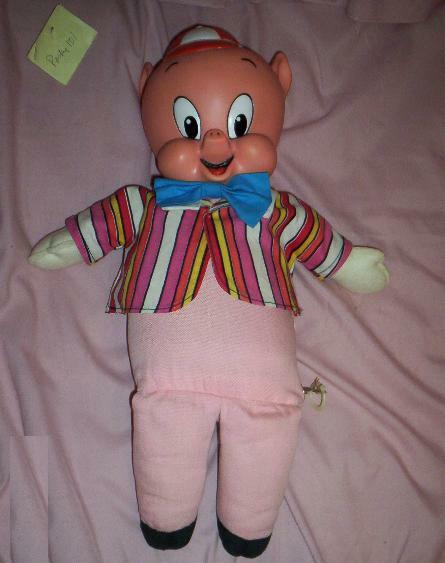 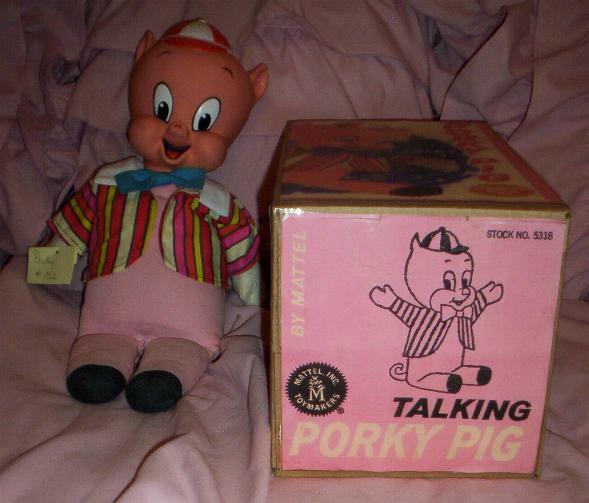 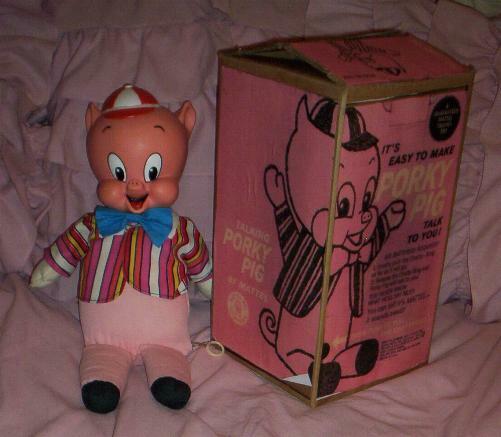 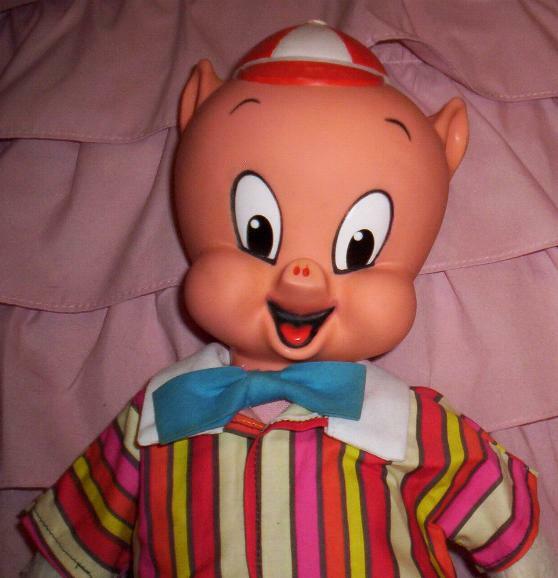 "I'm Porky Pig, What's Your Excuse?" 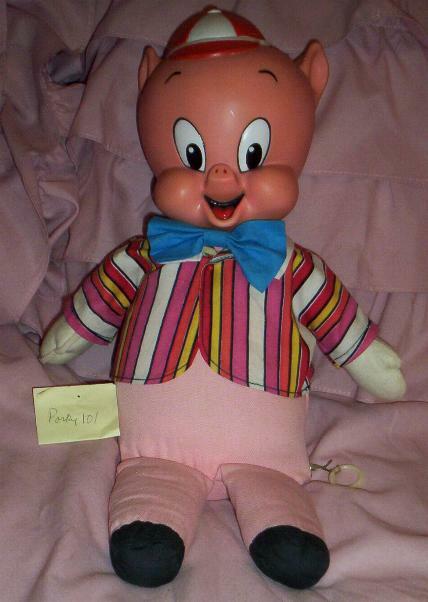 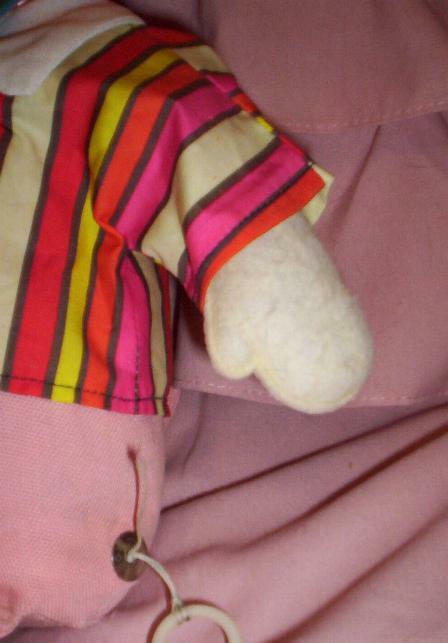 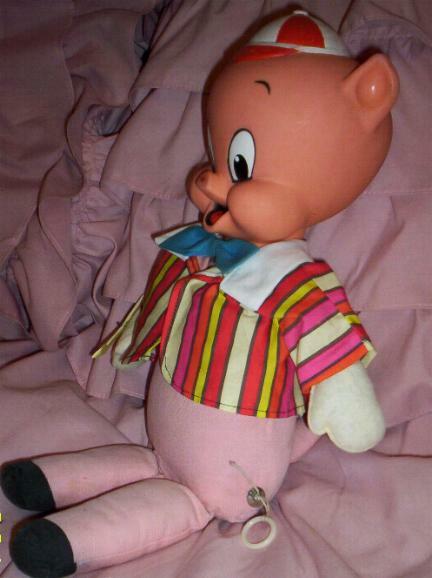 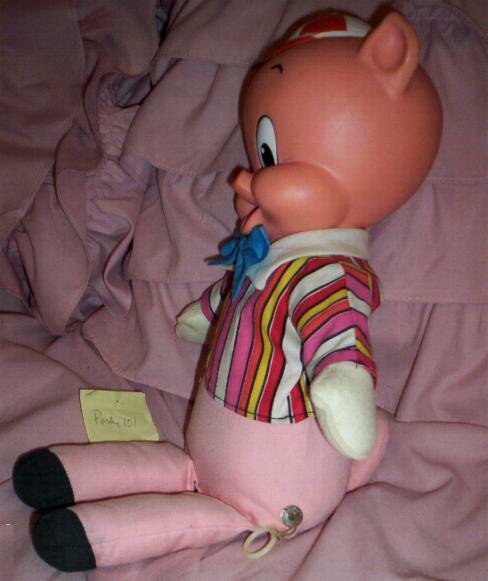 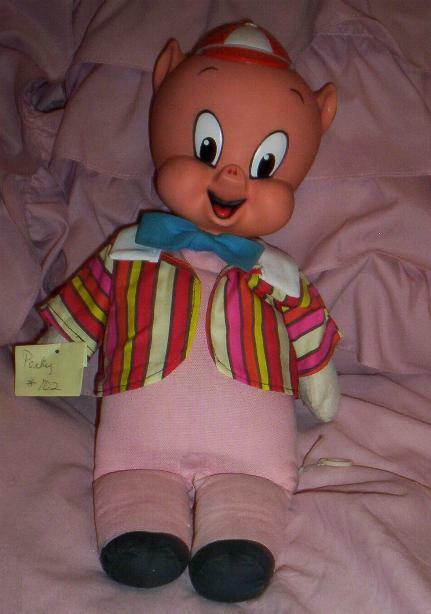 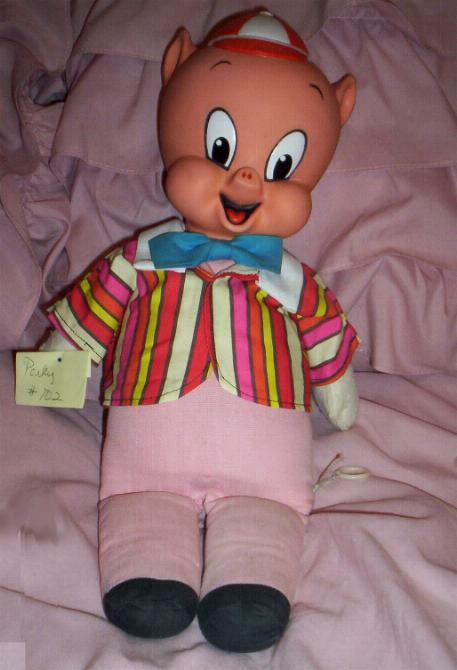 "Da Da Da Da That's All Folks"
"Ah When In Doubt, Pinch My Snout, Hee Hee"
"Please To, Please To Meet, Hi"
Above His Front Legs, Repaired with the Same Fabric his Body Is Made.